PUXIN portable assembly biogas system (medium and large size)--1082683108-Shenzhen Puxin Technology Co. Ltd.
for convenient transport and easy assembly. there is no need for digging and/or heavy construction. It can be assembled by the client itself . and circulating pumps for raw material and anaerobic digestate mixing. 4. 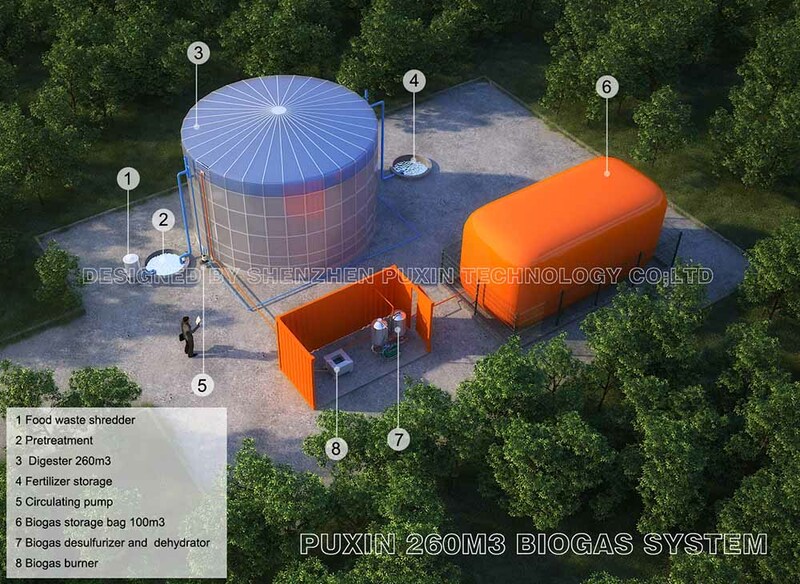 Medium and large size PUXIN Portable Assembly Biogas System is designed mainly for livestock farm manure and waste water treatment, for slaughterhouse solid wastes and waste water treatment, and for municipal sludge or food waste treatment. 5. 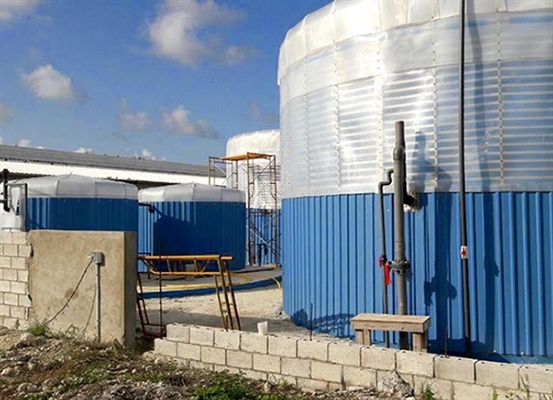 The system is mainly composed of a waste collection tank, several first stage digesters ,a control room, several second stage digesters, a desulfurizing tower, and a dehydrating tower and a biogas booster pump. 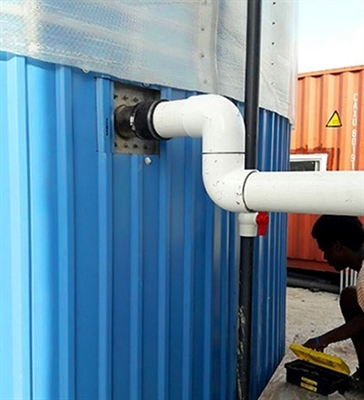 The digester is composed of a green house made with hollow sunlight sheet and metal supporting frame, a membrane digester with a gas storage bag combined in one, a stainless steel sink, a stainless steel outlet. 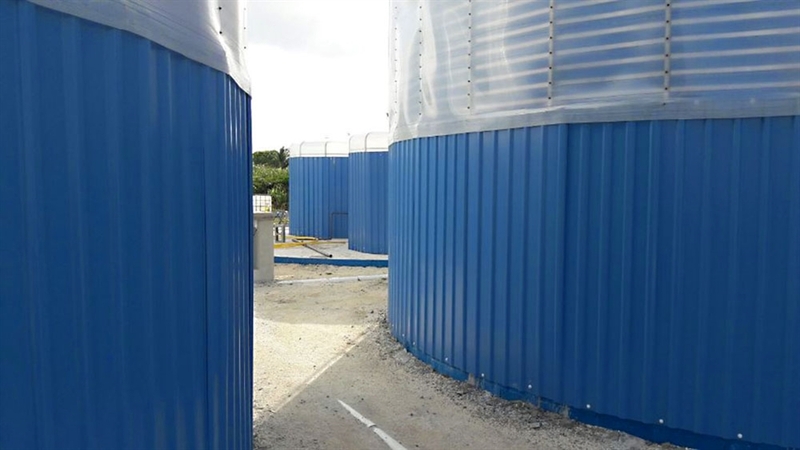 The membrane of the digester has the characteristics of anti-aging, acid and alkali resistant and rodent resistance. 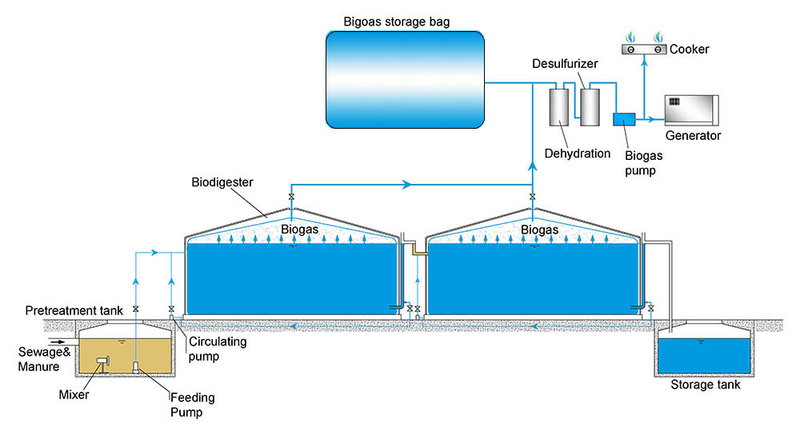 A single digester has a volume from 60 to 1000m3.